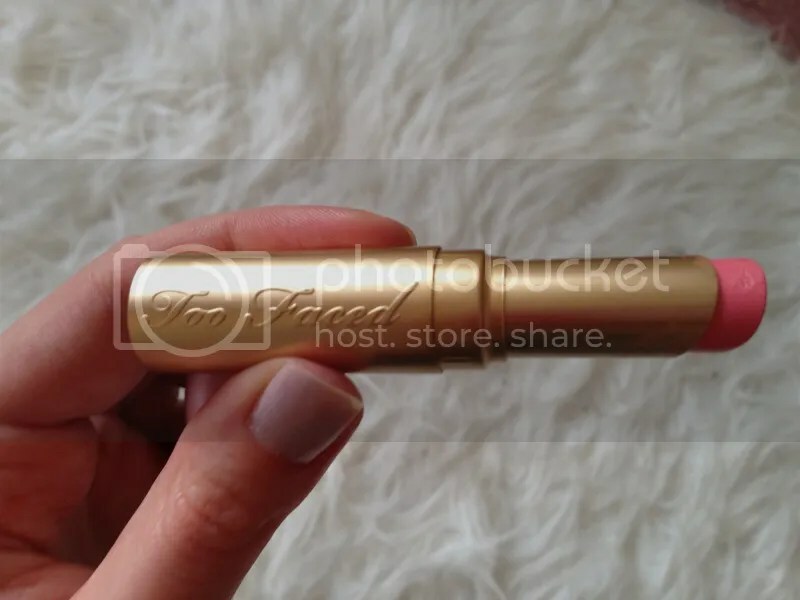 Review: Too Faced La Creme Lipstick in Marshmallow Bunny | Becky Alyssa's Beauty Box. If the name ‘Marshmallow Bunny’ conjures up thoughts of a super-sweet, girly pink lipstick..surprise, you’d be right! This is one of my new favourites which I’ve grown to love and want to tell you exactly why I’ve been reaching for it so much! ‘Marshmallow Bunny’ is the 2nd lipstick I’ve been trying from the Sephora ‘Give Me More Lip’ sampler set – a worthwhile investment if you can get hold of it for the retail price. This is actually the full 3g size, worth $21 (or a steeper £18 in the UK), making the set excellent value for money especially if this is one of the products you’re particularly interested in. I’ve enjoyed the first 2 lipsticks I’ve tried from this set so much & hope I fall in love with the rest! Enough about my love affair with Sephora, on to the lipstick! It comes in a very expensive-looking gold metal tube which is cold and heavy to the touch, making it feel very high-end indeed. If you’re someone like me who has a thing for fancy-looking lipsticks and feeling particularly high class reapplying them on the go or in public, you’ll love the packaging too. 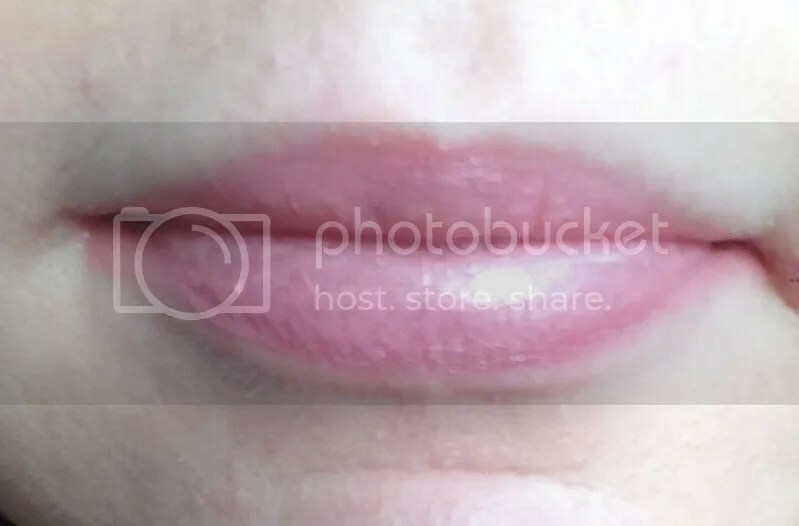 The lid is very easy to open and close – sounds simple, but when lipstick lids are cheap and get stuck or are stubborn to remove, it does put me off using them. 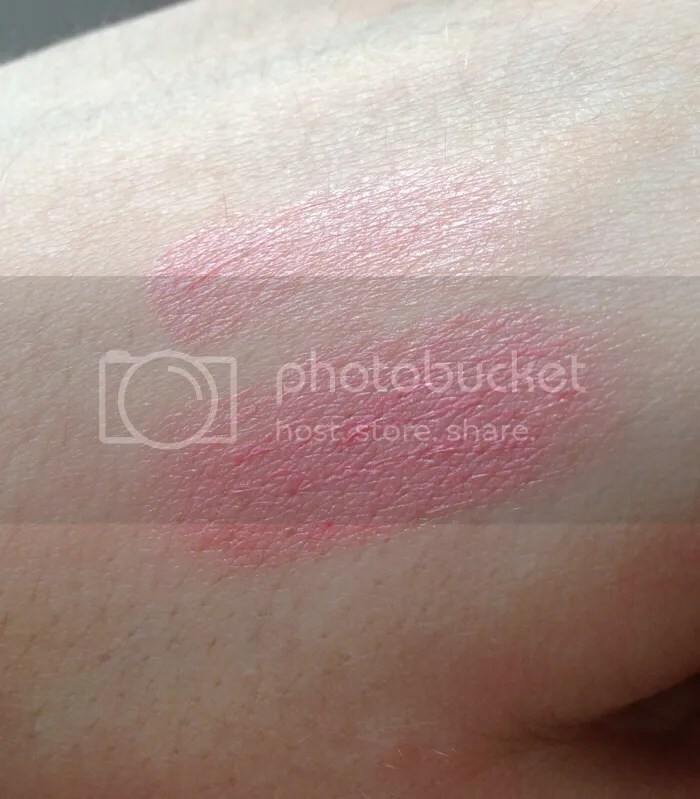 The product itself looks like a bright peachy-pink with a hint of shimmer. The name ‘La Creme’ implies it is smooth and easy to apply which is true – no tugging at the lips like some matte colours do – but be aware this shade does cling to dry areas on the lips so be sure to keep your lips moisturised and exfoliated the night before you want to wear this. It’s easy to wear as a very sheer, subtle wash of colour or built up for a more noticeable shade. I think it looks more pink on the lips and in swatches than it does in the tube, and the shimmer is definitely more noticeable on the lips. I felt this washed me out at first, but I think it’s just because it’s so different from the deeper, berry tones I’ve been wearing so much recently. Yes, this is a bit different from what I normally wear but it really does work as an everyday shade for me – I’m sure most skin tones will feel the same about this more subtle, wearable pink. I find it wears for around 2-3 hours before I need to reapply as it is quite creamy. Luckily the subtle shimmer doesn’t stick around after the lipstick wears off as shimmer-lips can be quite awkward. This lip colour has earned a place amongst my collection of favourites and I will definitely be wearing it more often! Have you tried this lipstick before? Is it a shade you’d consider wearing? Let me know in the comments?